A good engine is only as reliable as the parts that are used. That’s why at ARA Engine Reconditioning, we source all our equipment and parts from reliable OEM suppliers, in order to meet the highest industry standards and provide you with long-lasting enjoyment of your vehicle. For a comprehensive engine recondition Parramatta; rely on the people you can trust. Established in 1986, ARA Engine Reconditioning has been serving the local Sydney region and Australia-wide for 30 years. We understand the complexities involved with restoring an old engine and bringing it back to life. From the moment it arrives at our shop, a thorough inspection is carried out to pinpoint any major mechanical issues with the engine, along with organising and arranging what parts need to be cleaned or replaced. Our shop is stocked with the latest equipment, which provides us with the necessary tools to restore old engines back to their manufacturer standard. With reputable brands like AMC, Berco, Magmaster, Sunnen, Newen and Bosch; you can assure we work with only the best products available on the market. Each facility in our shop is designed to handle a range of certain tasks, including honing blocks, dynamic balancing, line boring, surface grinding and much more. 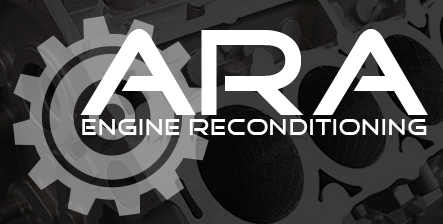 For the most comprehensive engine reconditioning Parramatta; ARA Engine Reconditioning has you covered. At ARA Engine Reconditioning, we provide a service for a wide range of industries. Our team of technical staff are trained to handle a variety of engine types. From private-use V8-cylinder engines, to demanding industrial diesel structures; we’re prepared to service any engine type that comes through our doors. With every engine reconditioning Parramatta job we perform, we keep you informed on each process that’s undertaken; in order to restore your engine back to its original intended condition. Our process involves thoroughly inspecting each component and performing the necessary tests required to diagnose different problems. From cylinder boring, crack testing, crankshaft straightening, conrod inspection to piston fitting; our process relies upon comprehensive support and involvement from each team member. Components that aren’t replaced are chemically cleaned by our technical staff, to ensure that any dust, grime, dirt or oil is removed entirely. Each cleaning product we use is certified for engine-use and guarantees a much greater lifespan for your engine. 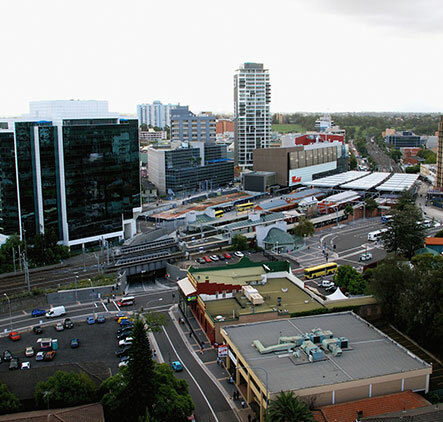 Parramatta is home to a range of local businesses, including trade services, manufacturers, industrial sectors and retail stores. With close proximity to the Western Motorway, many residents of Parramatta rely on their vehicles in order to get to work, pick up their children from school and perform other daily tasks. For those working in the industrial sector, a well-maintained assortment of vehicles is essential to performing the duties required to operate a successful business. With ARA Engine, we offer our services to local residents and businesses who demand fast and efficient service; that’s our guarantee to the Parramatta community. With over 30 years of experience, we’re dedicated to providing outcomes that guarantee long-lasting performance for any vehicle type. Each engine reconditioning + Parramatta job that we perform exceeds the highest industry standards, which continues to make ARA Engine the best in the business.